As tiny as 1.7 mm, a snail whose relatives live exclusively in the deep recesses of caves, provided a sensational discovery from the depths of Nodong cave, South Korea, back in 2000 for its collector, J. S. Lee. 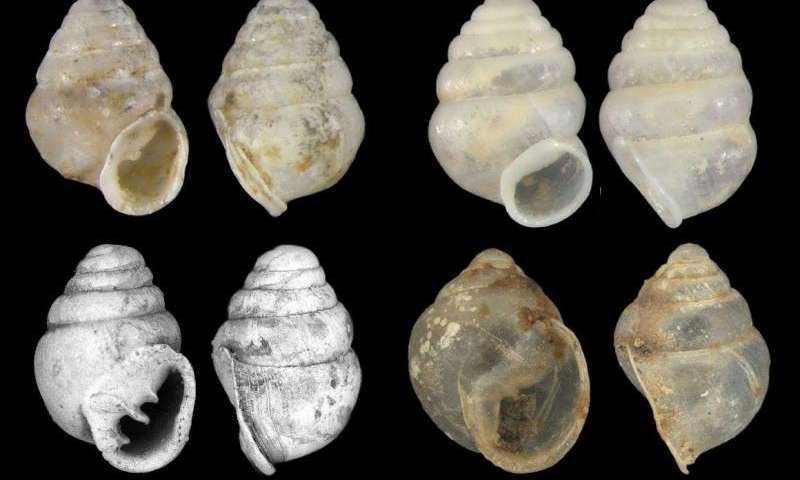 It is the only cave-dwelling representative of the family of hollow-shelled snails in the whole of Asia with its closest relatives known from as far as Croatia and Northern Spain. The scientists, Adrienne Jochum, Bern University and Natural History Museum Bern, Larisa Prozorova and Mariana Sharyiool from the Far Eastern Russian Academy of Sciences and Barna Páll-Gergely from Shinshu University, published its description in the open-access journal ZooKeys. The Asian species has awaited 15 years to come out of the dark for a name and into the limelight of subterranean biodiversity and conservation awareness. This barely visible snail suggests a former pan-Eurasian distribution of cave-dwelling, hollow-spired snails. 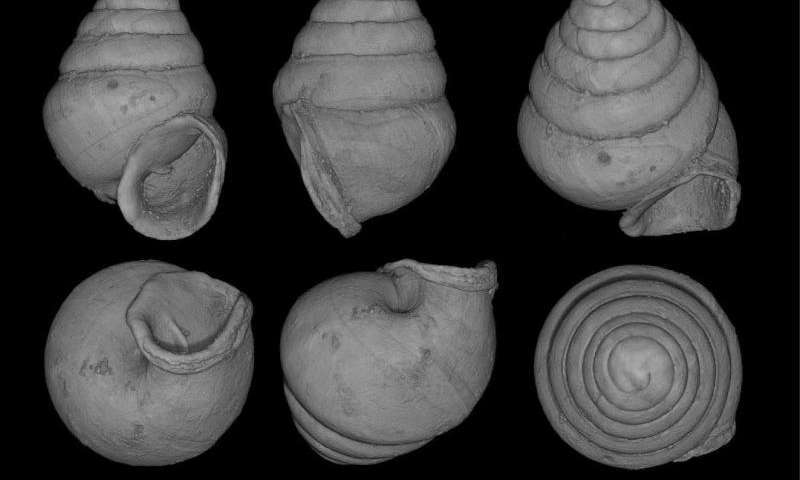 The tiny-shelled treasure, called Koreozospeum nodongense, belongs to a larger group of ancient cosmopolitan air-breathing relatives known to have been amongst the first snail colonisers of land via mangroves about 65 million years ago. Similar to its European relatives from the genus Zospeum, the South Korean snail was also found on muddy cave walls. Although more than 1,000 caves have been explored in South Korea, Nodong is so far the only one to harbour these beautiful denizens of the dark. Hypotheses made by Culver et. al. in 2006 about the existence of a very narrow, mid-latitudinal ridge of subterranean biodiversity (ca. 42-46°N in Europe and 33-35°N in North America) might clarify this unique find. A high amount of caves known to exist within these latitudes provide ample habitats for colonisation of life. If this hypothetical ridge were to be extended further East away from Europe, then Koreozopseum's gliding along walls in a South Korean cave (33-35°N) makes a strong call for further investigations and discovery of rare biodiversity. Jochum and her international team described K. nodongense using computer tomographic scans (Nano-CT) in a video film to view and compare the contours and architecture of the very fragile shell. Chemical trace elements, such as aluminum (Al) and silicon (Si) were detected in other scans of the thin diaphanous shell using mineralogical analysis techniques (SEM-EDX). These elements may play a role in the biomineralization (hardness) of the shell or may be contaminants absorbed by the snail from sediment consisting of volcanic ash from former eruptions in the region.